Uglyworld #690 - Flower Power, originally uploaded by www.bazpics.com. It doesn't matter if it's Rolf or Ralf who come away with me on my travels, it seems to be that all Uglydogs appreciate the simple pleasures in life. 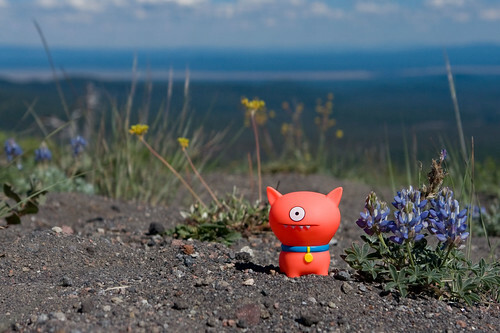 Ralf showed this again while we explored Crater Lake as he kept barking at me and the other little guys to check out the colourful flowers he found here, there and everywhere.